When the new Cavern was being built in the early eighties some bricks from the original structure were dug out and sold off to raise money for a local charity. They were limited to 5,000 pieces which has lead to them being very collectible. 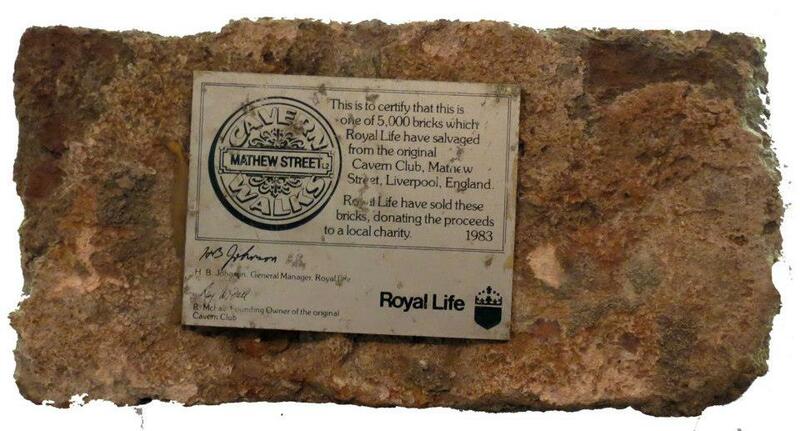 Three decades one of these bricks is up for sale in our auction in August with an estimate of £200-£260.